This listing is for ten (10) different American Silver Eagles. The dates are of Monument Metals' choosing, but you are guaranteed to receive ten different dates. Coins will be dated 1986-2018. 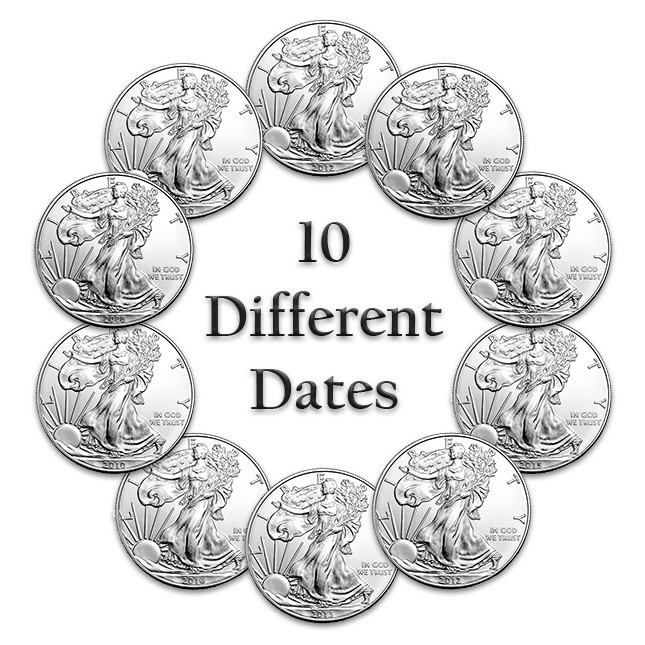 Unfortunately we cannot accommodate specific date requests for this item, but if you're looking to buy certain dates, click here for a listing of all Silver Eagles by date. Just $3.29 per ounce over spot! An instant mini-collection of American Silver Eagles at a great low premium!